Now that the weather had turned fine, you might feel the urge to curl up with a book, and two new biographies of architects whose work touched Mississippi have just come out to add to your list. 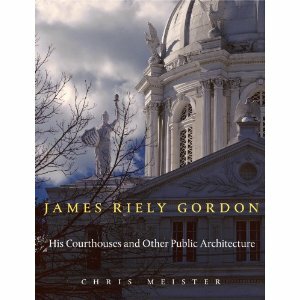 In case you hadn’t noticed, our own JRGordon’s name is derived from Texas architect James Riely Gordon (see a photo of him here), a master of courthouses among other landmark buildings. 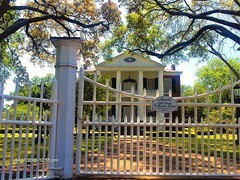 In Mississippi, he was responsible for the Vicksburg City Hall, Copiah County Courthouse in Hazelhurst, and Wilkinson County Courthouse in Woodville. 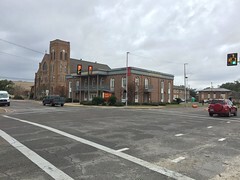 According to a rumor I’ve heard from a Texas architectural friend, Gordon was in a brief partnership with Alfred Zucker, who also designed several Mississippi landmarks (St. Patrick’s Catholic Church in Meridian and Ricks Memorial Library in Yazoo City are two still standing), until Gordon sued Zucker in 1904, and Zucker fled to Buenos Aires. Zucker promptly landed on his feet and continued to practice architecture, designing a number of important buildings, including the Plaza Hotel. Anyway, the rumor is that the lawsuit between Gordon and Zucker had something to do with our own Wilkinson County Courthouse, and I’m eager to read the book to see if that has any truth to it. It’s always great to be fought over, isn’t it? One of Texas’s most talented architects in the late nineteenth century, James Riely Gordon may have been the nation’s most prolific designer of county courthouses. Though Gordon’s Texas courthouses made his reputation, they represent only half of a career in which we see reflected many issues and events shaping American architecture. 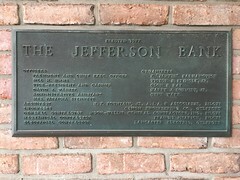 Most notable were the effort among architects to organize their craft as a profession, the controversial Office of the Supervising Architect of the United States Treasury, the 1893 World’s Columbian Exposition, and the City Beautiful Movement. Situating Gordon’s career, Meister focuses on the public architecture, the pursuit of which took Gordon from San Antonio to Dallas and on to Chicago and New York City as he secured commissions in nine states. 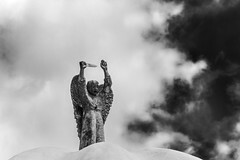 Competition was fierce, and Gordon often had to defend his reputation against scandalous charges leveled by jealous architects and unscrupulous politicians. In his interdisciplinary approach, Meister examines political, cultural, and economic forces for their impact on the finished buildings as well as on Gordon’s career and exposes the political and legal wrangling so often attendant to the construction of buildings that serve as the nexus for their communities. 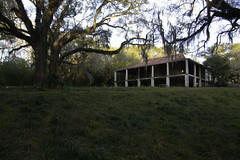 Early African American architect Robert R. Taylor is the subject of the second book coming out this month. 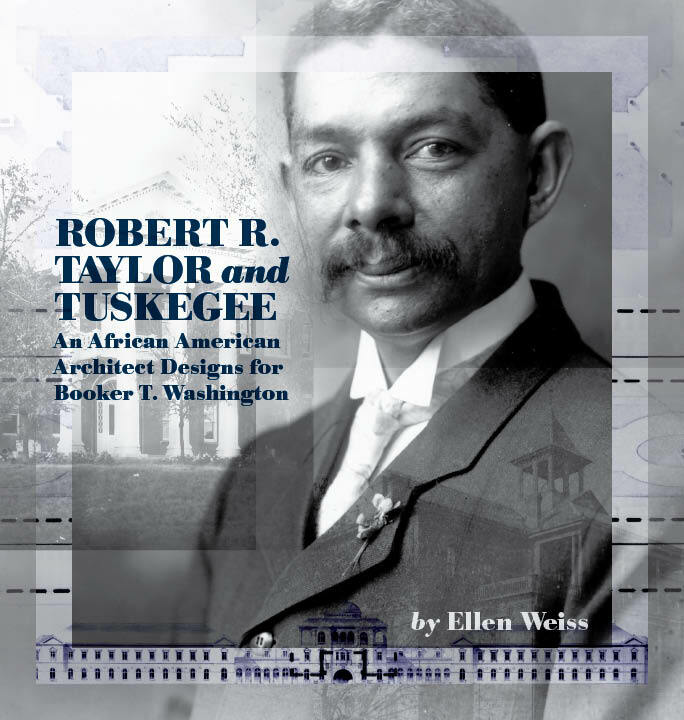 Robert R. Taylor and Tuskegee: An African American Architect Designs for Booker T. Washington by Ellen Weiss of Tulane University. 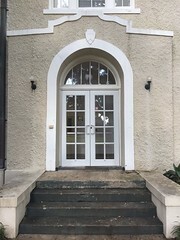 Taylor only designed one building in the state that we know of, the Carnegie Library at Mound Bayou in the 1910s (no longer standing), but he trained a generation of the earliest African American architects, and he designed many of the earliest buildings on the Tuskegee campus, where African American leaders received their education. Robert R. Taylor and Tuskegee interweaves the life of the first academically trained African American architect with his life’s work — the campus of Booker T. Washington’s Tuskegee Normal and Industrial Institute. In this richly illustrated architectural history, the author delves into such questions of how a black boy born in North Carolina shortly after the Civil War could earn a professional architecture degree at MIT, and how he then used his design and administrative skills to further Booker T. Washington’s agenda of community solidarity and, in defiance of strengthening Jim Crow, the public expression of racial pride and progress. The book also considers such issues as architectural education for African Americans at the turn of the twentieth century, the white donors who funded Tuskegee’s buildings, other Tuskegee architects, and Taylor’s buildings elsewhere. Individual narratives of Taylor’s Tuskegee buildings conclude the volume. I will be adding both these books to my growing and never-ending stack to read, and maybe you will find one or both interesting too. P.S. As evidence of the growing stature of MissPres, Chris Meister, the author of the J.R. Gordon book, e-mailed me about the book a little while ago to let me know it would be coming out. Soon, all the important people will come to me with the important stories, and I will be free to sit in my easy chair watching Battlestar Galactica and munching on jelly bellies while my media empire continues to expand exponentially! As if I needed an “excuse” to go to the bookstore . . .